Win a Kerastase Gift Hamper - Anniversary GIVEAWAY! Vanity No Apologies it turning 2 this December. 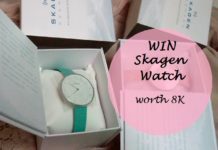 And ofcourse I’ve a giveaway for you. That’s just a small gesture to say thanks to all of you. Those who come here regularly and leave comments and interact and those who follow silently. The silent ones please comment once in a while to let me know you are there! VNA crossed a lot of milestones this year. 2000+ fb likes, 1000+ gfc followers, 1000+ email subscribers, 1000+ twitter followers! I feel like a star! 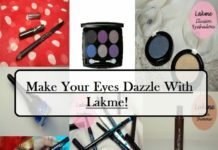 And now its my turn to pamper one of you. 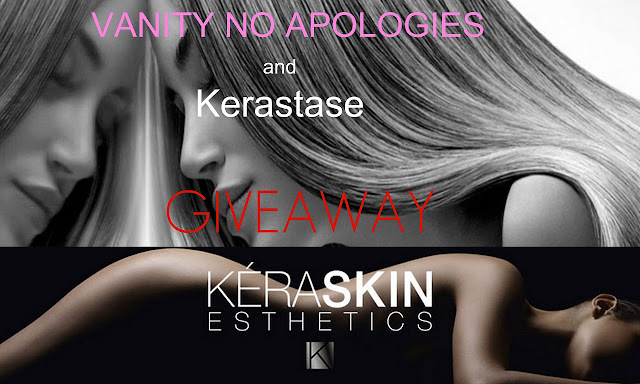 The winner will get a Kerastase gift hamper. It contains Keraskin and Kerastase decent sample size lotions and potions along with a very pretty surprise (hint hint: it also has a mini bottle of my favourite Kerastase Elixir Ultime). In my last post I talked about the 3 new variants launched in the Elixir Ultime line called Grand Crus. Now all you gotta do is go HERE and check out the creative app and tell me which new variant of the Elixir Ultime would you like to try and why. The app is really cool. You just drag the bottle on the girl’s hair and she gets a makeover. Do check the app and comment below with the oil which got you the most excited. Ofcourse this is open only to the readers of VNA so you have to follow certain rules. Fill the rafflecopter widget for that. I would chose the Moringa immortel+oleo complexe for damaged hair. My hair is not damaged that bad, but I think it will make my hair healthier..
Opps, forgot to mention my preferred oil…I guess Moringa immortel+oleo complexe would be ideal since my hair is really dry and rough and in need of a miracle! wow..congrats for ur blog acheivement!!!! hoping tht i turn out to b the ‘lucky one’ !!!! 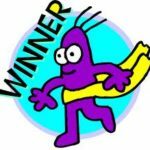 this is a really amazing giveaway!!! i would love to try the Rose millenaire+Oleo complexe…. since i have fine hair which have become sensitive too lately, i would like to try out how this amazing and so-much-talked-about product works on me…. hoping this whole range works well as there is a real scarcity of good hair-care products in the market…. Moringa immortel + Oloe Complexe because I have damaged hair, thanks! amazing giveaway i think the moringa immortel oil for the damaged hair looks the best as my hair is really damaged and i can imagine this being very nourishing! MORINGA IMMORTEL + OLÉO COMPLEXE for damaged hair, as My hair become really dull and damaged specially in winters due to constant use of hair dryer and straighter. So to TAME MY MANE I want to win that. Also I like woody smells so the description of this product attracts me and the green bottle looks so good.. I will definitely want to win this. ROSE MILLÉNAIRE + OLÉO COMPLEXE for its floral & fruity scent, seems it suits my hair type too. I’d love to try Keratese Elixir Ultime. OLÉO COMPLEXE oil. My hair is very fine and sensitive and I believe a few drops of this Elixir can transform my hair into my true crowning glory! I would like to try MORINGA IMMORTEL + OLÉO COMPLEXE oil because of its nourishing properties that will help my dry and damaged hair to recover. My hair also suffers from split ends and frequent hair fall. This oil will definitely help my hair to get proper nourishment and so I want to try this. OLÉO COMPLEXE because I have color-treated hair & the scent seems like something I would like. I’d like to try Kérastase Elixir Ultime Imperial Tea + Oléo-Complexe, because my hair is coloured. 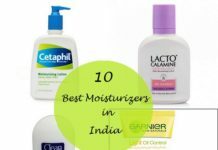 For hair i use Vatika and for body i prefer Johnson Baby oil, will love this giveaway .. Thanks for the chance ..
OLÉO COMPLEXE because I have colored treated hair and this oil provides antioxidants that protect the hair. Congrats on your achievements!! I’d love to try the Keratese Rose Millenaire+ Oleo Complexe because I have very thin hair. I wanna try rose version with the oleo complexe!!! the oils are looking lovely. wow so amazing!!! I’m looking for a perfect potion for my hair long time and it seems i find it! 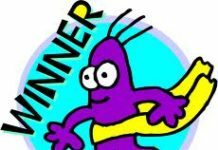 I wanna win! 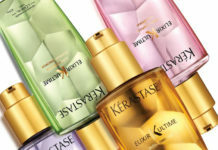 so I like the first one – kerastase elixir ultime for all hair types! because I have long hair and i think that elixir will straighten my hair! <3 thanks! though my hair’s a blend of all the issues mentioned in the GRand Crus post, I think I still would opt for Moringa Immortel+Oleo Complexe due to the prolonged hours spent in the sun and pollution of Jaipur is definitely doing more damage. I would like to try the Oleo Complexe for my thin hair!! Moringa Immortel with Oleo complex for damaged hair, for sure! OLÉO COMPLEXE. Not sure how it would help my rather normal behaving hair. But yet a little curious about these products. My hair is naturally colored with hues of orange and brown mixture. Guess, these products might give some more enhancement to my hair. I would like to try Rose Millenaire + Oleo Complex since it is formulated specially for the fine and sensitized hair,the kind my tresses become in the harsh winter winds. It should keep my hair in a prefect and manageable condition. I’d like to try MORINGA IMMORTEL + OLÉO COMPLEXE, because I have troubles with damaged and dry hair, being a Swede and living in the north does that to your hair. I’d like to try Kérastase Elixir Ultime because my hair is not in a very good condition at the moment and I’ve been thinking of trying it for some time now. I’d love to try Rose Mellenaire+Oleo complexe bcoz i have fine hairs. Thanks for the lovely giveaway. I would like to try Kerastase IMMORTEL MORINGA + OLÉO COMPLEXE Oil for my dry & damaged hair to make it instantly replenished and nourished. I want Imperial Tea + Oleo Complexe as i find my hair a bit drying ad damaged after coloring. would love to get Moringa immortel + Oloe Complexe for my dry n damaged hair!! I guess I will go with elixir cause I have dry and thin hair! !Happy new year!! I would like to try the ROSE MILLÉNAIRE + OLÉO COMPLEXE, because it is rich in Vitamin E and protects my hair from harmful UV radicals. Since I have to go out daily, my hair gets damaged due to UV radicals. This oil will be very useful to me & will protect my hair from getting damaged. This oil will also give a floral & fruity fragrance to my hair, which I love a lot. 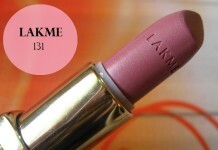 So I would like to try ROSE MILLÉNAIRE + OLÉO COMPLEXE. Apart from Oleo Complexe, which I believe is versatile, I would love to try ROSE MILLÉNAIRE + OLÉO COMPLEXE for my fine hair. This product could be a start of my hair’s exciting friendship with the oils. Bless my hair please! The Moringa one, please :) It seems just right for my hair that are looking rather damaged these days. Well the Moringa immortel+oleo complexe fr me coz my damaged dry curly hairs seriously neeeed dis.. 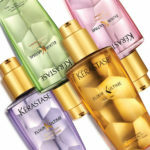 I love kerastase fr its luxurious packaging nd ofcourse fr itz superb quality as well! I want to try Moringa immortel+oleo complexe for damaged hair because I feel my hair need this, it is a little damaged for the heat. I would like to try Moringa immortel+oleo complexe for damaged hair. Because my hair is a little damage and this would make my hair more healthy! Congrats….for completing 2 years !!!! I would like the Immortal Moringa Hair Oil for my dry and damaged hair…….! 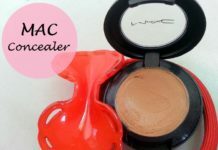 ….and thanks for the Giveaway!!! Congrats. :) I would love to try Kerastase ROSE MILLÉNAIRE + OLÉO COMPLEXE or protect for my damaged hair. The Moringa immortel+oleo complexe for damaged hair because I straighten and color my hair.